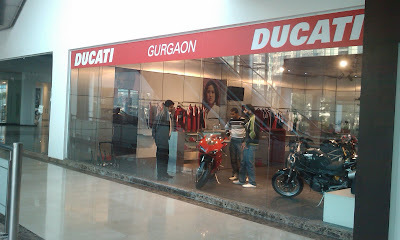 Narrowly missed the opening ceremony of the Ducati Showroom in Gurgaon and seeing the crowd diarrhoea decided to leave the visit for some another day!! 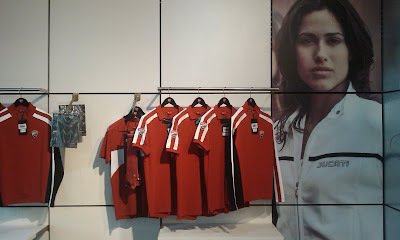 A very neatly maintained showroom I must say, equally par to the Yamaha Showroom at City Walk Saket, New Delhi. As soon as you enter the show room you get that intense and classy feeling that you should get when you visit any Italian Vehicle outlet. Yes, this is an outlet because all the bikes on display are directly for sale on down payment. 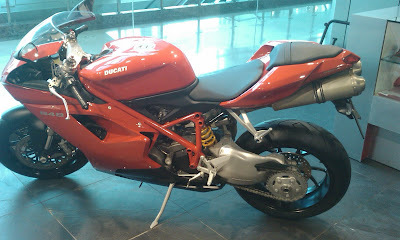 As usual what caught my eyes was the Ducati 848 (man I'm such a sucker of the sports class!!). 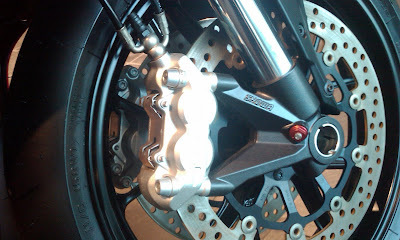 Everything about the bike is like a sucker punch on the face... be it the styling, the digital console, the Single Sided Aluminium Swing Arm or those massive 320mm 4-Piston Caliper Brembo Radial Front brakes. 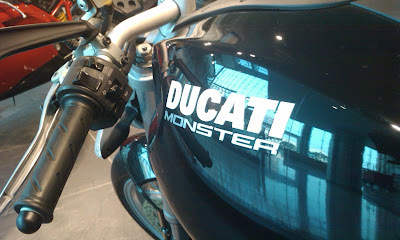 The Monster, the Street Fighter.... WOW!! One thing that the Sales Manager said that there is no comparison between a Ducati and a Yamaha because Ducatis are the sexiest!! 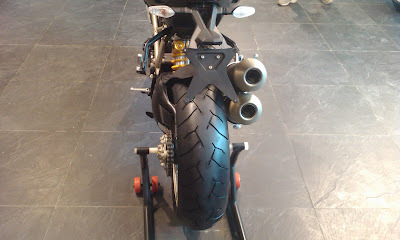 Totally agreed on the looks.... Italians create on the most stunning creations.... but what about out and out performance!! On the MotoGP circuit... Ducati and Yamaha are the arched rivals!! So, what say people, Ducati or Yamaha! !